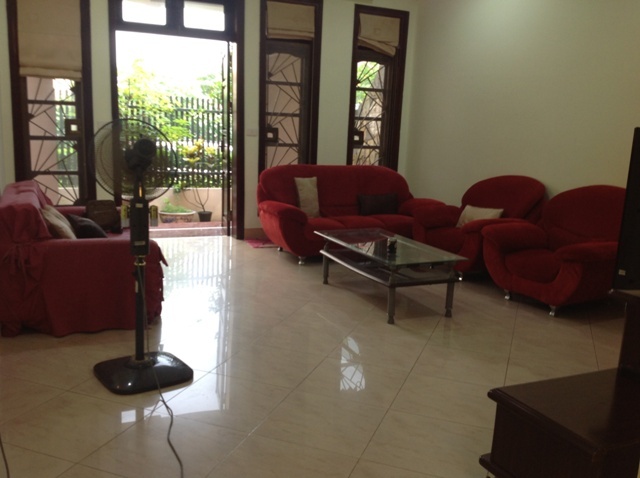 Beautiful house for rent in Ciputra Hanoi Iternational City is available now. Total area is 126 sqm with 4 bedrooms, 3 bathrooms, a nice and bright living room with full furniture , and a modern and well equipped kitchen. Total area is 230 sqm with 5 bedrooms, 4 bathrooms, a nice and bright living room with full furniture , and a modern and well equipped kitchen. A nice villa for rent in block T3, Ciputra, with open surroundings: fish pond, garden in the back of villa, very nice courtyard in front and back of the property, great view to the golf court and the river behind. With the size of 200 square metters, this house has a living room, a large kitchen with dining space, 04 bedrooms, 04 bathrooms. It is new and spacious house with wooden floor, quiet location, security and reception are available. Designed with a garage, living room, kitchen and airy dining area; swimming pool in the back yard, 04 bedrooms, 03 bathrooms. Very beautiful Ciputra villa for rent in block C, close to UNIS school, lovely front courtyard, garden around the house, swimming pool at the house back side.